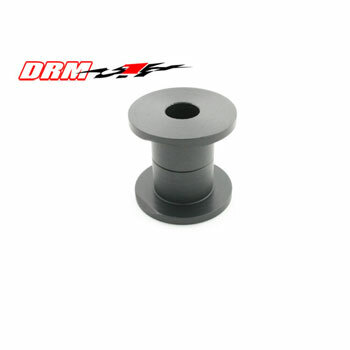 The DRM Steering rack bushing increases steering feel due to the removal of the rubber mount. This product fit all C5s, C6s including all Z51, Z06 cars. The bushings are made from aluminum and are plated black for a long lasting finish. Like all of our products the idea and design came from racing to work. One bushing is needed per car. Some class rules state “no metal bushings” Don’t worry DRM has made a Delrin bushing to fit the rules. Best of all it’s the same price. Please make sure you select below if this applies to you.